Today International Development Secretary Justine Greening will announce the UK Department for International Development (DFID) support for two key Start Network programmes: the Start Fund and Start Build. Download the press release here. The Start Fund is a multi-donor pooled fund that provides fast and direct funding to NGOs for ‘under the radar’ crises. The Start Fund complements existing humanitarian financing mechanisms, but it is unique in that it is collectively owned and operated by the Start Network NGOs on behalf of the wider civil society sector. Stringent accountability mechanisms help ensure funds are used according to need and spent as intended. Response to small scale emergencies that often receive little funding, either because they fall between existing financing mechanisms or because they do not attract sufficient media attention. The UN reports that the accumulated global impact of small-scale, frequent hazards equals (and in many countries exceeds) that from major headline-grabbing disasters. Early response to slow-onset crises to protect at-risk communities. All too often these situations do not receive attention or funding until many lives have already been lost. Fast response to small to medium rapid-onset crises where agencies on the ground need to act quickly. DFID’s contribution of up to £30 million over 3 years will enable the Start Fund to save the lives, alleviate the suffering and protect the dignity of more than 8 million people affected by disasters. It is hoped that this donation, along with a contribution from Irish Aid, will help to leverage further support from other government donors to protect many more communities. DFID will announce that it will contribute up to £26 million to the Start Network through the Start Build portfolio over three years, as part of its Disasters and Emergencies Preparedness Programme. 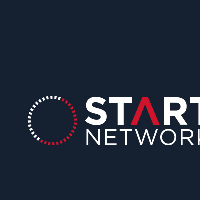 In complementarity with the work of the Start Fund, Start Build aims to strengthen the capacity of civil society in order to meet the increasing humanitarian challenges of the 21st century. Civil society carries out the overwhelming majority of emergency response work, yet it is consistently under-resourced and poorly supported within the humanitarian sector. The injection of cash from DFID will enable Start Build to support civil society organisations to respond faster and more effectively in response to a crisis. The current Start Build portfolio was constructed using peer review. Projects were identified for their transformative potential and their ability to contribute toward a body of evidence on decentralising capacity building. 1 The estimated number of beneficiaries has been based on the evidence gained from the CBHA pilot ERF in which a £4 million donation from DFID enabled CBHA members to reach 1,073,174 people.